Back from the international break, today’s game sees us back at home to Cardiff. Neil Warnock hasn’t enjoyed a great start to the season and Cardiff come into this game looking for their first Premier League win of the season. Whilst we’ve started the season with 4 wins from 4 games, we haven’t always made easy work of those wins. Most of our first team will have been away with their national sides and won’t be as fresh as the visitors either, so Sarri’s preparation will be a determining factor in the outcome today. For Chelsea, Ruben Loftus-Cheek (shin) is doubtful after international duty although Cesc Fabregas (knee) could make the bench. For Cardiff, Nathaniel Mendez-Laing (knee) remains out although Josh Murphy (hamstring) and Aron Gunnarsson (knee) are available. * Chelsea have won 10 of the past 12 league meetings, including both previous Premier League fixtures in 2013-14. * Chelsea have won their opening four Premier League games of a season for the sixth time. * Chelsea have begun a season with at least five successive top-flight victories on three occasions, most recently in 2010-11. * Chelsea lead the Premier League statistics this season for the most passes attempted (2,996) and completed (2,677). 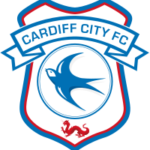 * Cardiff’s current winless run of six matches in all competitions is their worst under Neil Warnock, and the longest since an eight-match streak between January and February 2015. * Warnock has drawn five and lost five of his last 10 Premier League fixtures – he has never endured 11 consecutive games without victory in this division. * Cardiff have gone four Premier League away games without a win or a goal since beating Southampton 1-0 in April 2014.